The DDA-100 consistently delivered maximum musical kicks regardless of recording quality or genre, and its paltry $550 price tag seems like a mere pittance for the level of sonic goodness on tap. Time was, the only way to listen to recorded music was with analog equipment and media. Today’s musical landscape however is quite a bit different: nearly all recorded music is now of one digital form or another, which makes recording, storing and listening to music much more convenient, accessible, and portable than it ever was in analog-only land. Of course, digital music must eventually be converted into analog so we can hear it. Unfortunately, nearly all of the digital-to-analog (or D/A) converters built into our computers, smartphones, and other such devices are of embarrassingly poor quality. Most folks who use both analog and digital sources leave it up to their A/V receiver to handle all of the requisite switching and conversion required for better sound. 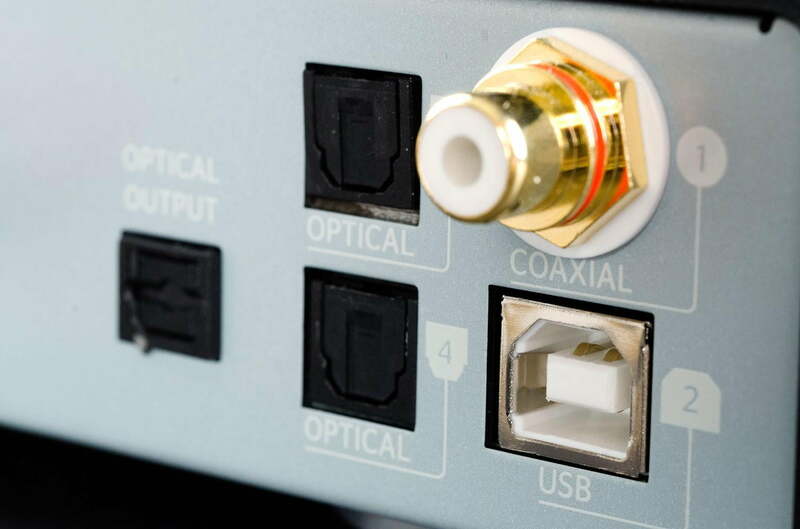 One thing most consumers don’t realize, however, is that typical A/V receivers perform quite a few A/D, D/D, and D/A conversion processes on their own, each of which will degrade the signal to some degree. Some folks with two-channel systems have figured out that there’s a simpler solution: Route their digital sources to an outboard D/A converter for improved performance while running analog sources straight through to the analog inputs of their receiver or amplifier. But what if you have a two-channel system and listen exclusively to digital sources? Theoretically, you wouldn’t need any analog facilities or inputs on your amplifier at all: the signal could be kept purely digital until conversion is absolutely necessary. Enter the NuForce DDA-100. It’s a direct input amplifier that operates almost entirely in the digital domain, and at $549, it’s the only digital amplifier we’re aware of that promises audiophile-quality sound without breaking the bank. Read on to find out why we think the DDA-100 delivers on that promise and then some. NuForce generally does a fine job when it comes to packing its gear, so we weren’t surprised to see that the DDA-100 was nestled safely within a sturdy, UPS-immune box and dense foam inserts. We were, however, pleasantly surprised when we pulled the DDA-100 from its box and noticed its smartly compact form factor and solid, inert feel. The DDA-100’s aesthetic design is quite the case study in functional minimalism. The front panel is almost completely devoid of any visible controls, save for the amplifier’s multi-function control knob and a defeatable, stealthily-inconspicuous LED-type display. The front panel’s smooth, matte black finish continues around to the amplifier’s top and side panels for a streamlined overall appearance. Peaking around the back of the amp, we were pleased to find some sturdy-looking input/ output connectors and binding post-style speaker terminals taking up residence. A rocker-style power switch and IEC power cord receptacle round out the back panel’s features. Other items we found inside the box were a slim, card style remote control, owner’s manual and power cord. As mentioned, the DDA-100’s calling card is its direct digital input design. Without getting too deep into the technical details, this approach uses the incoming digital signal to directly modulate the amplifier’s output transistors by a technique called Pulse Width Modulation, or PWM for short. This allows the digital data stream to be converted to analog only once and at the last possible stage in the amplifier circuit – at the speaker output terminals. PWM amps therefore have a major advantage over traditional analog designs when it comes to handling digital signals: D/D processing, D/A conversion and analog gain stages can be eliminated altogether, resulting in a circuit that’s far simpler and much closer to the “straight wire with gain” ethos that many audiophiles so often champion. Of course, having a digital amplifier means having digital inputs, and the DDA-100’s rear panel sports four of them: two Toslink optical, one S/PDIF coaxial digital, and one 2.0 USB. 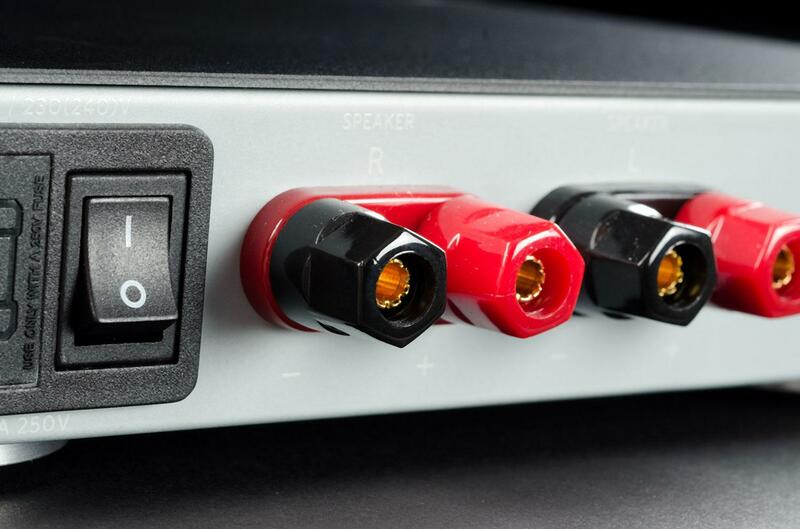 The S/PDIF input can accept varying signals from 16- to 24-bits and 44.1 to 176.4 kHz sampling rates, while both Toslink USB inputs can handle signals up to 96 kHz and 24 bits. There’s also a Toslink digital output for ancillary gear if so desired. Other than its novel design, the NuForce DDA-100 doesn’t have much else, make that anything else, in the way of functional features – no bass or treble controls, no loudness contour, no balance control, and certainly no multi-room expansion. While some users might be befuddled at the DDA-100’s sparse design, we imagine NuForce deems this to be perfectly in keeping with the amplifier’s purist approach, not to mention the purist audiophile type NuForce seems to be targeting with this product. There is however one nice feature of the NuForce amp that’s worth mentioning, and that’s the multi-function, front-panel control knob that makes this amp a joy to use. Rotate it right or left to turn the volume up or down; quickly press it in one or more times to sequentially switch between inputs; or press it in for a few seconds to power down the amp. The included slim, card-style remote also replicates all of the front panel controls for those who are more consistently couch-bound. The DDA-100’s power amp section is rated to deliver 2 x 50 watts per channel into 8 ohms. While that spec may seem a little lower than average, it’s a true RMS rating, which means it should prove sufficient for average size rooms and loudspeaker sensitivities. 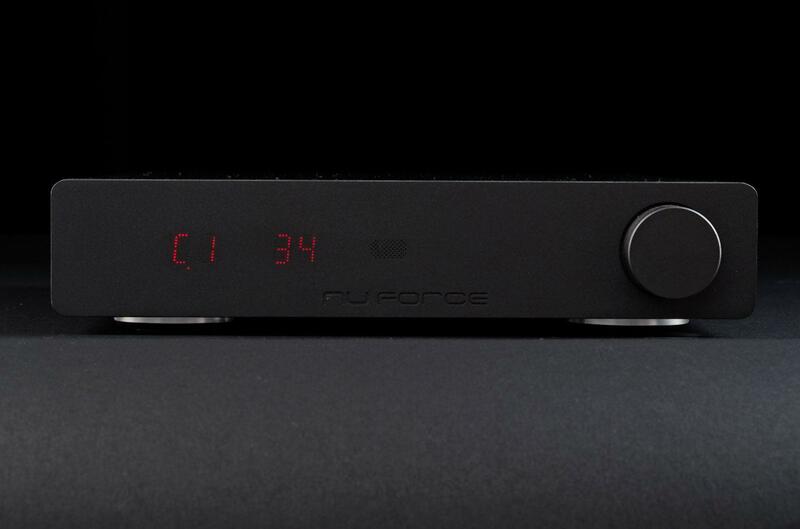 NuForce also claims the amp can deliver up to 250 watts of dynamic peak power when called for. Other design features include onboard data re-clocking, 96 kHz input sampling rate, and 3 GB/sec over-sampling of the input signal. Unfortunately given the simplicity of its design, the DDA-100 also doesn’t provide any headphone or subwoofer outputs; however, the amplifier’s optical output can be used for an appropriate headphone amp with line out function if so desired. We tested the NuForce amp with a variety of gear, including: A Samsung UN40C6300 LED TV; Samsung BD-C5500 Blu-ray player; Marantz NR-1602 and Yamaha RX-A3020 receivers; Line Magnetic LM211A amplifier; Denon DCD-CX3 SACD player; Antelope Audio Zodiac DAC; HP Pavilion G6-2320DX laptop; Apple iPhone 4; Aperion Audio Verus Forte front tower loudspeakers, and Sony ES SS-M3 stand mounted speakers. We let the amp break in for at least 20 hours before doing any serious listening. We started our listening by using albums we had across multiple formats, such as our various copies of Miles Davis’ In a Silent Way. Having a hi-res, 24-bit, 176 kHz AIFF version, lower resolution conversions, and even Redbook CD in our collection, we knew this jazz-fusion classic was the perfect album to kick off our listening sessions. Listening to the 176/24 files first, we were mightily impressed with how easily the DDA-100 made music sound natural, compelling, and eminently fun to listen to. This little NuForce wonder was clearly delivering something special: Miles’ horn was so pure and so timbrally correct that it sounded much closer to some high-end amp ‘n DAC combos than it had any right to. As good as the DDA-100 was, we did notice one flaw: The NuForce amp seemed to prematurely truncate the harmonic envelope and trailing edges from acoustic instruments. The more we listened, the more easily we could hear how this purity pervades the whole audible sonic spectrum. Indeed, the DDA-100 is one of the cleanest and most direct-sounding amplifiers we’ve ever heard when it comes to doing digital. “Refreshingly pure,” is the phrase that kept popping into our heads when we were thinking of how to describe this surprising little amp. Album after album, the NuForce simply played the music at hand with as much honesty and detail as possible, without any trace of audible distortion. But it’s that detailed and honest reproduction that consistently grabs your attention. Regardless of the source quality or type of music we played, the NuForce DDA-100 seemed to let all of the sonic nuances shine through. Listen to any music that’s intricately balanced, such as Julia Fischer’s recording of Mozart’s Sinfonia Concertante or Vivaldi’s double mandolin concerto, to hear how the NuForce amp handily reproduces all of the timbral cues that let you easily distinguish a violin from a viola or one mandolin from the other. Curious to see just how much power this NuForce amp could deliver, we then went full throttle with some Wagner, specifically “Ride of the Valkyries” from the Ring cycle. 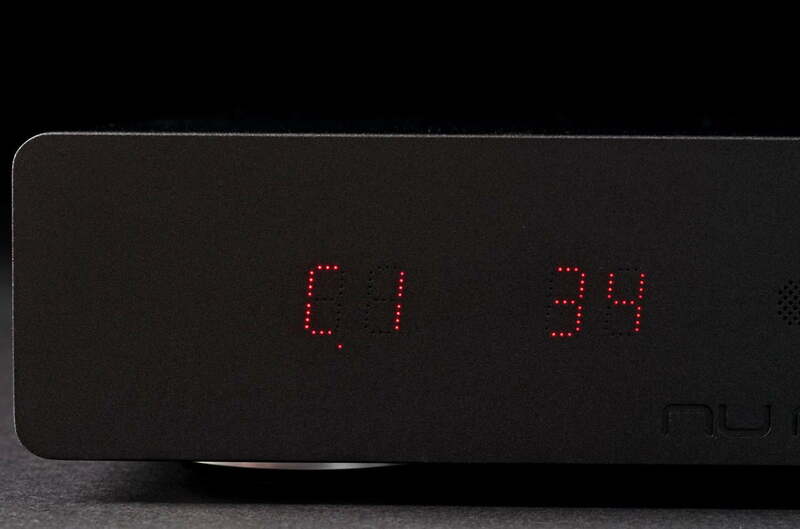 With the Aperion Verus Forte towers, the DDA-100’s output capabilities and dynamic range were outstanding. This diminutive 50-watt amp had more than enough volume at 75 percent on the dial, comfortably delivering more scale and visceral impact than we expected in our average size room. From there, we tried several different high-octane classical and modern rock pieces, and never once did we find ourselves wanting more SPLs. It was only when we switched to the notoriously difficult to drive, 85 dB-sensitive Sony ES SS-M3 speakers that the NuForce amp seemed to run out of headroom. Note however that this is true of nearly all of the 50 WPC amps we’ve tried with the Sonys, which means the DDA-100 acquitted itself quite well in this regard. If you’re fond of dynamically challenging music, or simply like to listen at near-deafening levels, be sure to partner this amp with speakers that are at least in the 88-90 dB sensitivity range and you’ll find the NuForce amp to be surprisingly potent and powerful. Perhaps what impressed us the most over the long term though was how kind the NuForce amp is to low-res digital files. We streamed via Spotify Justin Timberlake’s groove-laden and dance-friendly recent release, The 20/20 Experience, to see how it would fare, and we were quite surprised to hear better detail retrieval, vocal clarity, and treble refinement than we heard streaming the same album through the Marantz NR-1602 and Yamaha RX-A3020 receiver’s internal DACs. Even with other low-res and old swing recordings from the ‘40s, having the DDA-100 in the chain resulted in a more enjoyable and effortless listening experience overall. As good as the DDA-100 was, we did notice one flaw: The NuForce amp seemed to prematurely truncate the harmonic envelope and trailing edges from acoustic instruments. Listening to Joshua Redman’s Back East album, cymbals and percussive accents from the track “Zarafah” didn’t have quite as much reverberant decay and natural shimmer as we’re used to hearing. This trait seemed consistent regardless of musical genre, leading to a drier, less refined sound than we heard playing the same disc through our much more expensive, modded, Denon DCD-CX3 SACD player and Line Magnetic amp combo. And once we put the Antelope Zodiac DAC in behind the Denon, the NuForce’s dry presentation sounded noticeably austere and analytical in comparison. Still, this was impressive performance regardless of cost, and even more impressive considering the DDA-100’s sub-$550 price tag. The more time we spent with the NuForce DDA-100, the more impressed we were with how much sound quality it had to offer. Its simple, digital-direct, and un-processed design ethos has paid huge dividends in terms of detail retrieval, natural tonal wholeness, and sheer listenability. The DDA-100 consistently delivered maximum musical kicks regardless of recording quality or genre, and its paltry $550 price tag seems like a mere pittance for the level of sonic goodness on tap. Add in the fact that it proved its mettle against some very stiff competition, and you have an all-around winner in the high-performance/low-priced amplifier category. 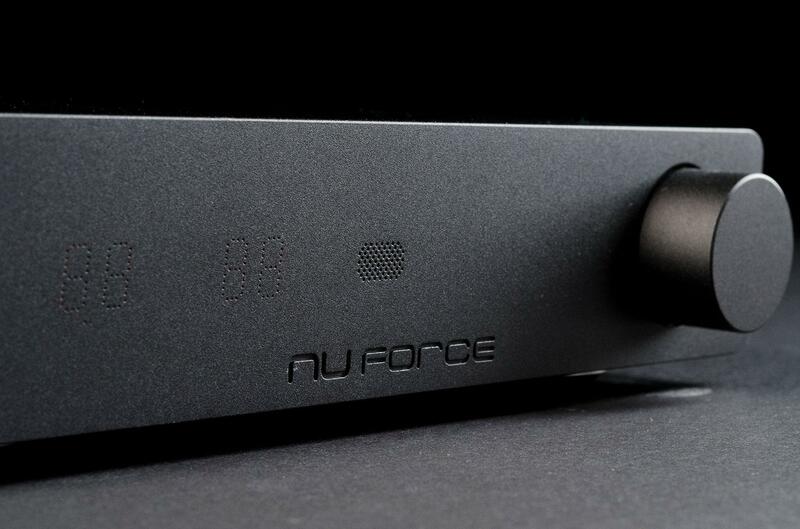 Given all that, it’s worth mentioning again that the NuForce amp won’t be all things to all listeners. Many folks still have at least one or two analog sources they’d like to enjoy, which means the DDA-100 is out of the question. Ditto for those who have fairly inefficient speakers and enjoy rocking out at stadium concert levels. But if you’re strictly a 2-channel, digital sources kind of person and don’t mind the lack of a headphone output or other convenience features, do yourself a favor and check out the NuForce DDA-100 before making a decision on anything else. You’ll be glad you did.